Text and Video: Rob Alton. It was a really great day, morning for the BMX Suli riders and afternoon for the Amateur and Pro riders. We had a good turn out and well motivate kids plus three dads too! The Suli riders pulled some tricks they never did before which was really great. Amateur and Pro Class saw some new faces which is always good with an all “Hungarian” turnout. We saw some great riding and gave each class 25 minutes in JAM format to pull their best combo. 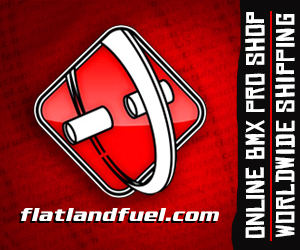 This is a great way to show flatland to the new comers and give the riders more tries to hit their best combos. As you will see this really works and after all it is a JAM not a contest. I tried Hang 5 Fast Track for the first time, this was a lot of fun and just to make it interesting we did some Freestyle Fast Track too. Hang 5 was basically the fastest hang 5 once round the track and the Freestyle was to find a hard trick to roll one round. Bunny Hop as usual and this time a McCircle Battle not Mega Spin. Zsoldos Andor from the BMX Suli riding less than 2 years got to the semi final! Szilagyi Marton took the Trophy which he was well stoked about! All in all a great day and now I will prepare for our contest on November 23rd. We may have some big news coming about Sport Zone and as soon as I can confirm something I will let you know. Enjoy the videos and ride on! This entry was posted in Articles, News and tagged Veres BMX Jam 2019 Amateur and Pro by Effraim. Bookmark the permalink.